For over twenty years we have helped our clients make the ultimate investment in their cherished period homes. 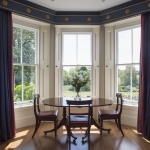 Whyte & Wood sash windows and doors are crafted with Accoya® wood providing low maintenance, durable products that are as functionally superior as they are timelessly beautiful. Enjoy peace of mind as we deliver a luxurious solution that will not only add value to your property, but will also protect your home and those within it. 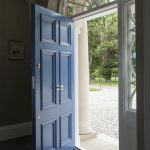 Whyte & Wood is a traditional handcrafted joinery company specialising in the bespoke design, manufacture and fit of the finest timber sash windows and doors in the UK and Ireland. Our highly skilled and passionate team bring together centuries old practices, consultative design and high-performance materials to create individual commissioned pieces that are the best in the marketplace, and which represent the highest standards of British Craftsmanship. We are based in Berkshire and work throughout London and surrounding counties. We also work throughout the UK and Ireland on special projects. Why don’t you contact us on 01753 415753 to see if we can work in your area?